We enjoyed having laundary and loved the downtown core of Canmore and the beauty of the scenery of the mountains. We really enjoyed our trip to Canmore and Banff, this was a great base and really well equipped would stay again ! and recommend to friends ! 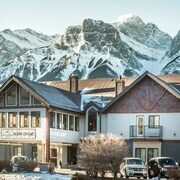 The inn is situated in a very convenient spot: right in the heart of Canmore, close to good restaurants, and has a nice view of the mountains. 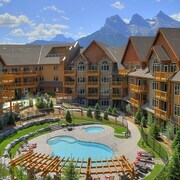 Stayed in Canmore for 3 nights at this property and it was great, balcony over looking the mountains was great. just an overnight stay on way home - very comfortable stay - will keep in mind for future trips to Canmore. Very nice spot. Downtown Canmore, close to everything. Where to find Canmore hotels near an airport? Where can I find hotels in Canmore that are near tourist attractions? There is a wide range of accommodation choices for those visitors hoping to book a nice hotel in or around Canmore. Spend some time perusing Expedia's 37 accommodation options, which are all within a 0.1-kilometre (0.1-mile) radius of central Canmore. Like to find a place close to Canmore's heart? 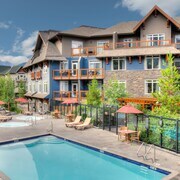 The Canmore Crossing and Rocky Mountain Ski Lodge are conveniently located within a short distance of the downtown area. 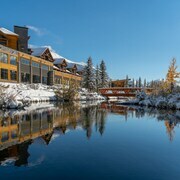 The Rundle Cliffs Lodge and Solara Resort and Spa are nearest to the Canmore Golf and Curling Club, while the Paradise Resort Club and Sunset Resorts Canmore are within walking distance of the Canmore Museum and Geoscience Centre. If you choose to stay close Canmore Nordic Centre Provincial Park, select from accommodation options including the Silver Creek Lodge and Quality Resort Chateau Canmore. Alternatively, if you are interested in staying near Cross Zee Ranch, your most convenient accommodation options include the Grande Rockies Resort and Stoneridge Mountain Resort. 16 kilometres (10 miles) from the middle of Canmore, is the Fairmont Banff Springs. The Hidden Ridge Resort is located 17 kilometres (11 miles) away. Two other Expedia-listed alternatives in this area include the Delta Hotels by Marriott Kananaskis Lodge and The Rimrock Resort Hotel. After you have enjoyed Canmore, schedule in a little time to discover the many other delights of the Canadian Rockies area. Canadian Rockies is marked by forests, rivers, streams and mountains. Popular Canadian Rockies visitor sites are nature museums, history museums and open-air museums. Visitors in this region of Canada commonly enjoy snowboarding, skiing and cross-country skiing. The closest hotels in Banff National Park are Harvie Heights and Dead Man's Flats. Harvie Heights is 4 kilometres (2 miles) to the north of Canmore, while Dead Man's Flats is 9 kilometres (6 miles) to the southeast. Harvie Heights hotels and apartments include the Fire Mountain Lodge and Mystic Springs Chalets & Hot Pools. 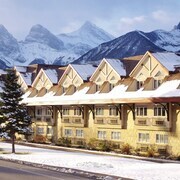 The Copperstone Resort and Banff Gate Mountain Resort are among the hotels and apartments in Dead Man's Flats. Situated 95 kilometres (59 miles) away from Canmore is Calgary International Airport. Stay nearby at Delta Hotels by Marriott Calgary Airport In-Terminal or Best Western Premier Freeport Inn & Suites. 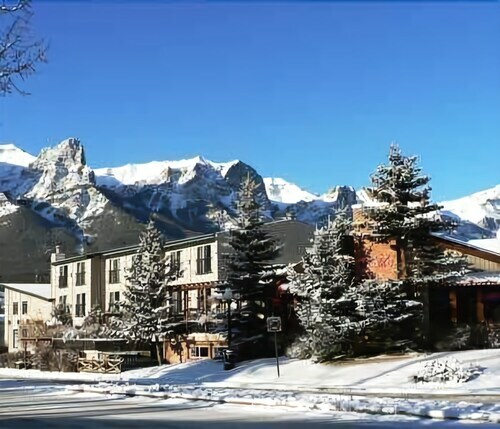 What are the most popular Canmore hotels? Are there hotels in other cities near Canmore? 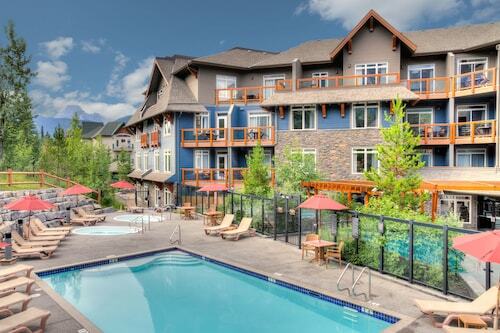 What other types of accommodations are available in Canmore? Explore Canmore with Expedia.ca’s Travel Guides to find the best flights, cars, holiday packages and more!